The US Congress returns to work today following a summer recess. Republicans would like to quietly work on tax reform; President Donald Trump probably has other ideas. Trump has recently clashed with several Senate Republicans. 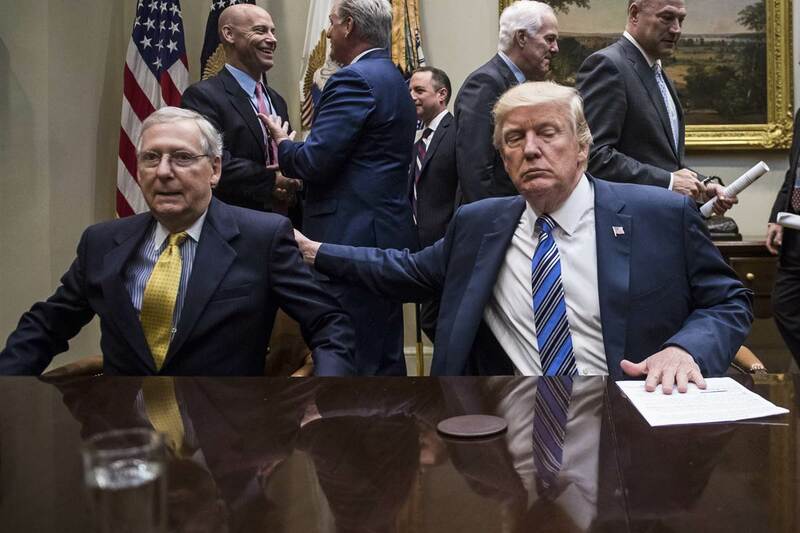 Most consequentially, he is openly feuding with their leader, Mitch McConnell. After failing to repeal the Affordable Care Act, Trump tweeted attacks at the Kentucky senator and screamed at him over the phone. Unless this deteriorating relationship is salvaged, tax reform will likely suffer healthcare repeal’s fate. At the same time, Congress must pass a spending package by September 30 to avoid shutting down the government. However, Trump has threatened to force such a shutdown if there are no funds allocated for his border wall with Mexico; his feud with McConnell and other Republicans means such funding is unlikely. If Trump follows through on his shutdown threat, toxicity between the president and his own party will only grow. Expect urgent items, like relief for areas afflicted by Hurricane Harvey and raising the debt ceiling, to ultimately pass. But, Republicans’ policy wish list will mostly go unfulfilled. The session is set to feature more angry Trump tweets than landmark tax or border legislation.